U.S. Senate overwhelmingly voted to pass HR-2 Agriculture and Nutrition Act of 2018, also known as the Farm Bill, which contains (among standard food policy legislation) measures to legalize industrial hemp sales, cultivation, and processing, according to a report from Forbes. 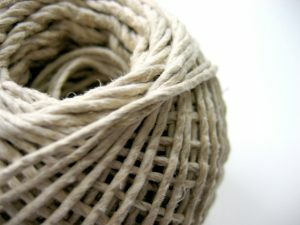 Hemp is a variety of cannabis popular for its lower concentrations of THC and higher levels of CBD, the non-psychoactive component of marijuana. This has made it ideal for creating a variety of products, from plastics to biofuel to animal feed to yarn. The federal ban on marijuana has made no distinction between these strains of cannabis and THC-laden versions, which has caused Americans to seek out everyday products that happen to include hemp from other countries. Finally, a bipartisan group of politicians, led by Mitch McConnell (R-KY), is standing up for this common sense action. The bill would open the door to hemp farming nationwide, not just states with legalized marijuana, and would allow those plants to be insured just like other crops. As the bill stands, it also would legalize other products, such as CBD oil, which is used for many medical purposes, including pain, anxiety, and seizures. It has been touted as a useful resource in weaning people off of opioids and acting as an effective pain relief substitute. Champions of cannabis watch in wonder as a plant the federal government has gone out of its way to demonize and criminalize has continually been given special exceptions. Legislators have attached an amendment to Congressional spending bills preventing federal prosecutors from using funding to go after operations that are following their own state’s laws. From state to state, opinions vary as to whether cannabis should only be used to treat very serious diseases, or if it can be recommended for any ailment a doctor so chooses, or if it can help friends relax and enjoy a good Saturday night. Debates rage over what levels of THC versus CBD should be allowed in products. Now hemp, an obviously innocent victim in the battle over cannabis, is finally back on the table in serious public debate. We have wasted so much time nit-picking which elements of the cannabis plant are good and which should be regulated, and we can mince words all we want. In doing so, however, we keep dodging the most relevant question: why on earth is this clearly beneficial plant still banned? The answer, like many things, is political. Controlled Substances Act, 21 U.S.C. Section 812 put cannabis on the list of Schedule I narcotics, with the ludicrous claim that the drug is addictive, has no medical benefits, and is harmful even with supervision of a medical professional. The “evidence” to support these claims is dubious at best; yet supporters of marijuana have had to move mountains to prove its worth. This line of thinking has laid waste to many cannabis by-products, such as hemp papers, yarns, and fabrics, and CBD oil, none of which cause the high sensation that has ruffled so many feathers. In fact, hemp used to be a major crop in the U.S. before all the unnecessary hysteria over cannabis began. Instead of recognizing the nuances of the plant and its myriad uses, our country doubled down on banning it in every way possible until states started to fight back in recent years. Our cannabis business attorneys in Riverside are very interested to see how developments regarding hemp and all its possible products play out. We are here to assist any business owners interested in the hemp industry figure out how changes to federal, state, and local laws could impact your business and potentially help it grow.